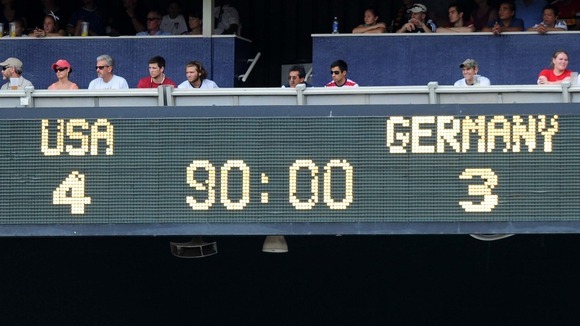 Last time the US played Germany was just 6 months ago, again at RFK Stadium, on June 2, 2013. At the time, people were surprised to see Brad Evans as the starting right back. I am assuming those doubts are at least somewhat diminished by now. In the 14th minute, Graham Zusi sent a perfect cross to Jozy Altidore, who volleyed it directly into the net to give the USA a quick 1-0 lead. The lead was doubled in the 18th minute on an own goal "credited" to goalkeeper Ter Stegen, who misplayed a back pass from Benedikt Howedes, the normally reliable captain of Schalke 04. Comparisons to Robert Green at the South Africa 2010 World Cup ensue. Germany got a goal back in the 52nd minute, as Heiko Westermann eluded Omar Gonzalez to head a corner kick past Tim Howard to make the score 2-1. The lead was increased back to 2 goals in the 60th minute when Jozy Altidore sent a ball back from the end line to Clint Dempsey, who volleyed it into the net. Deuce was still on fire 6 minutes later as he scored an unassisted goal when he found himself open after a cutback move just outside the 18 and blasted it into the net to make the score 4-1. Germany would make a late rally, as Germany's best player of the day, Max Kruse, scored in the 78th minute and then Julian Draxler, who looks like he should still be in high school (he was 19 at the time), pounced on a rebound off Tim Howard in the 80th minute to make the final score USA 4-3 over Germany. As for Portugal, the USA has an incredibly remarkable 2 win, 2 loss, and 1 draw record against them. In fact, though Portugal recently shot up to #5 in the FIFA World Rankings, they were ranked 14 last month, and the USA, now ranked 14, were number 13. Are we really equal with Seleção Português? Well, they are ranked #5 in the World now. Which is exactly what Portugal was ranked when the USA played them last in Suwon, South Korea, on June 5, 2002. The win is considered the greatest win in US World Cup play since 1950. The first half was all USA. Brian McBride got his head on an Earnie Stewart corner kick, and the ball fell to John O'Brien, who put the USA on top 1-0 in the 4th minute to set the tone. In the 30th minute, Jorge Costa deflected a Landon Donovan cross into his own net to double the score with an own goal. Tony Sanneh sent a cross into the middle in the 36th minute, and Brian McBride scored on a beauty of a diving header. It is the only time the USA has ever scored 3 goals in one half in a World Cup match. Portugal got one goal back just 3 minutes later when Jeff Agoos couldn't defend Beto, who headed a shot that was blocked by O'Brien, but Beto got his own rebound to narrow the score to 3-1. 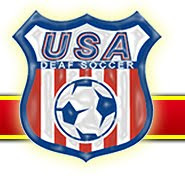 Finally, in the 71st minute, good old Jeff Agoos, being his usual self, volleyed a cross from Rui Costa past Brad Friedel into the USA net to reduce the USA lead to 3-2 and to give each team an own goal. So, no one can say the US won the game because of an own goal because Agoos gave it back. Agoos was at fault on both Portugal goals but thankfully the rest of the team held off FIFA World #5 Portugal then, and they can do it again, as long as Jeff Agoos, Claudio Reyna, Alexi Lalas, or others of that generation don't come out of retirement. Yeah, was living in Cologne at the time and caught a couple games of Kirovski's... he was riding pine most of the time or came on late to be ineffectual on a team holding up Bundes2 before they were penalized for being broke, dropped a few levels and then went insolvent (a shame really, cause it was a 5min walk from where I lived at the time). Impressive really, that he managed that goal, all things considered. And if we do manage to pull off even 5 points in this group (I could see us promoting with 5, going 1-2-0 because that'd require Portugal to have to beat Germany or vice versa and both to ruthlessly crush Ghana to promote out of the group on GD) or even 4pts, that means we either broke the Bob Bradley/Ghana curse and it was him all along, not the USMNT, or we beat Portugal or Germany. Any which way, the only disappointment I'll have is if we turn in a lackluster display akin to Italy 1990.